Fitness Hoop Dance® is an innovative, invigorating and fun way to workout the entire body. 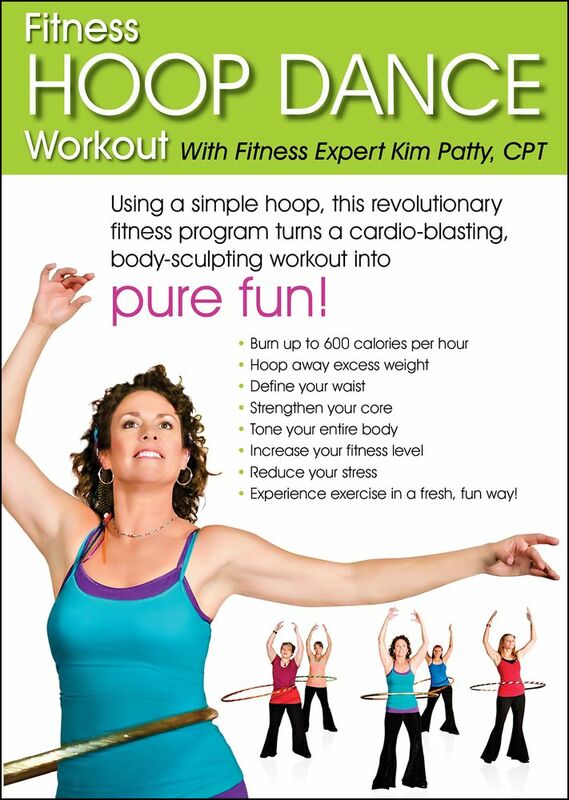 Using a simple hula hoop, this revolutionary fitness program turns a cardio-blasting, body-sculpting workout into PURE FUN! Burn up to 600 calories per hour and hoop away excess weight while defining your waist and increasing your fitness level in Fitness Hoop Dance® classes. About your instructor, Kim Patty: I have enjoyed being in the fitness biz since 2006. I came into this profession later as a means to fund my other career in music. I have always been interested in discovering the joy of movement with music. I happily stumbled into a hoop trying to discover a new way to work the core. Little did I know at that time how I would become "hoop hooked". After further research I saw that there was a whole new genre of dancing inside a hoop. Hungry for more hoop knowledge, I pursued my certification and training under the masterful tutelage of Hoopnotica's Rayna MacInturf, Hoop Path's Jonathan Baxter and Hoop Revolution' Anah Reichenbach. Since then I teach regularly and expand my hoopexpertise by attending workshops and certifications throughout the USA. My desire is to reach out to as many people, like me, wanting to enjoy movement in their bodies again!